From Where I Stamp: It's Sale-A-Bration time! 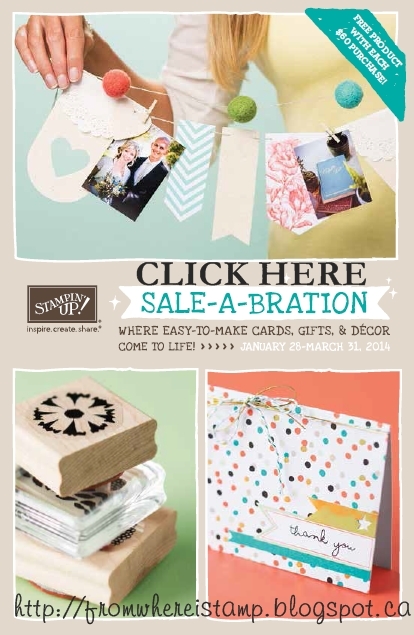 Sale-a-bration starts today and lasts until March 31! For every $60 you spend you get a FREE Sale-a-bration gift. Contact me to receive your own copy of the 2014 Sale-A-Bration brochure or you can download the pdf right here!